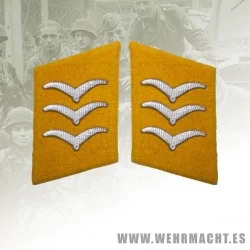 Luftwaffe enlisted mans cloth embroidered breast eagle. Mouse grey on blue grey backing. This eagle is MACHINE EMBROIDERED.